Negatively-ionized hydrogen is an even more important key discovery for health and longevity. 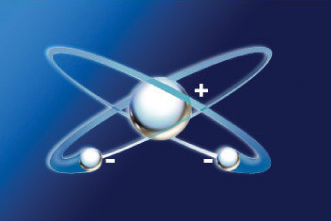 Hydrogen as the smallest atom of all the chemical elements. Hydrogen is unique in that it can carry an extra electron which orbits around the atom forming a cloudy effect. This negative form of the most abundant element in the known universe is naturally found in all body fluids, as well as in fresh fruits and vegetables and their juices. Exposure to light and heat destroys it, and stress depletes it. Nearly everyone has a serious deficiency of negatively-charged hydrogen due to a lack of fresh ripe fruits and vegetables, and too high levels of stress in modern life. It restores and maintains the important proper balance of acidity/alkalinity. It enhances the body’s electrical conductivity, the method of intercellular communication. Negatively ionized hydrogen is the most successful antioxidant for counteracting the damaging free radicals that are the major contributors to degenerative diseases and aging, 1000’s per day bombarding each cell. Toxins are positively charged. An antioxidant molecule gives up an electron to the toxic radical molecule, thus stabilizing it. Normally, the antioxidant becomes a free radical itself in this process , although a weaker one. Negative hydrogen establishes a biological terrain wherein harmful microbes, such as yeasts, bacteria, viruses and other parasites, do not remain. This terrain is unfavorable to cancer cells as well. Hydrogen is essential in every chemical reaction that takes place in the body. Having a good supply enhances virtually all metabolic activities: enzymes; hormones; liver, heart and nerve functions, etc. Albert Szent-Gyorgyi, Nobel prize recipient and discoverer of Vitamin C stated years ago, “Hydrogen is the fuel of life”. The hydrogen carries oxygen into the cell where the oxygen burns the hydrogen to form ATP, the compound that all cells use for energy. So hydrogen negative-ion is a non-caloric source of cellular energy. The by-product of this process is pure water. This water assists the cells to be properly hydrated. Dehydrated cells, as usual in most people, have dilapidated membranes much like a deflated ball. These cells are more likely to stick to each other as a common problem. The movement of nutrients & oxygen in and wastes out is impeded. Thus these cells do not function well, and die early. The nano-scientists add negative hydrogen to dry powder of silica nanominerals, to form silica hydride, a food-grade nutrient. This compound is mixed with potassium and magnesium nanominerals, so that the negative hydrogen remains stable and will last until exposed to fluid or light. Further, this delivers large quantities of the negative hydrogen to help a person’s health substantially. This product is named Mega H®. One capsule provides the equivalent in antioxidant capacity to a whole truckload of vitamin C or E, or 10,000 glasses of fresh orange juice! Further, Mega H® restructures the shape of water molecules, matching the make-up of Hunza water. It increases wetting of the high fat-containing cellular membranes, and helps carry nutrients and oxygen into the cell. Drinking more ordinary water which is less “wet”, does not help much. This subcolloidal negative hydrogen nanominerals have a high beneficial charge on them known as “zeta potential”. They regulate fluid balances inside and around all cells, and keep the cells from sticking together, a common health problem that prevents cells from functioning well.